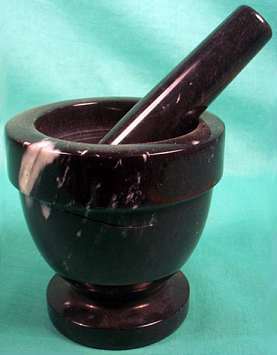 In every wiccan, spiritualist, or herbalist's kitchen is a mortar & pestle. This is a simple and ancient way to crush herbs, leaves, spices and more. 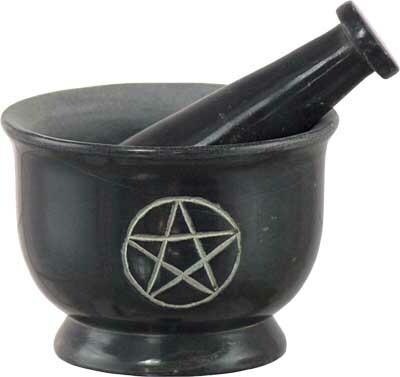 Beautiful Wood Mortar & Pestle with Pentagram design. A beautiful addition to your herbal tools. Grooved for easier grinding. Marbling varies in color from light grey to black. 4" high by 4" wide. 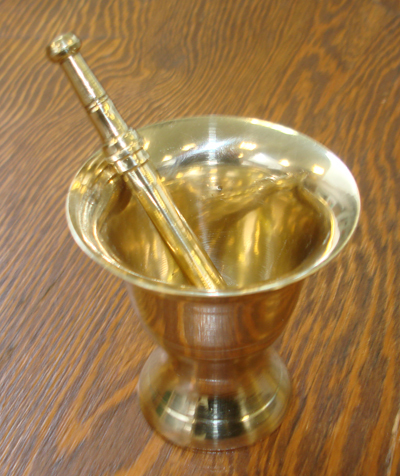 Small brass Mortar & Pestle (heavy brass), easy to clean. 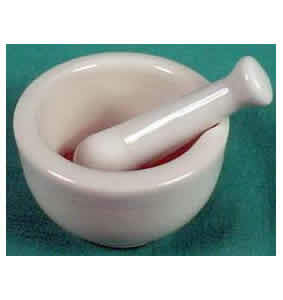 Measures 2 1/2" diameter and 2 1/2" tall and 3 1/2" pestle. For grinding up herbs incense etc. 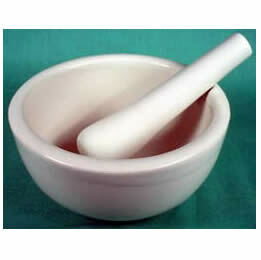 We recommend keeping seperate mortars and pestles for edible and non-edible uses. Inside diameter is 2". For grinding up herbs incense etc. 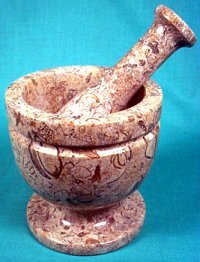 We recommend keeping separate mortars and pestles for edible and non-edible uses. Inside 4"diameter.